There are some really exciting books making their debut in Tucson. First up the Second Edition of Secrets of the Gem Trade by Richard Wise. Richard Wise, author of Secrets of the Gem Trade, has added 11 chapters, 5 introductory essays, 127 pages, and 161 images to this second edition of his gem trade bible, first published in 2003. Gemstones, the third book in Vladislav Yavorskyy's "Terra" series will be available in the Yavorskyy booth #417-517 at GJX Tucson to get your freshly signed copy and enjoy some sweet and vibrant organic treats! 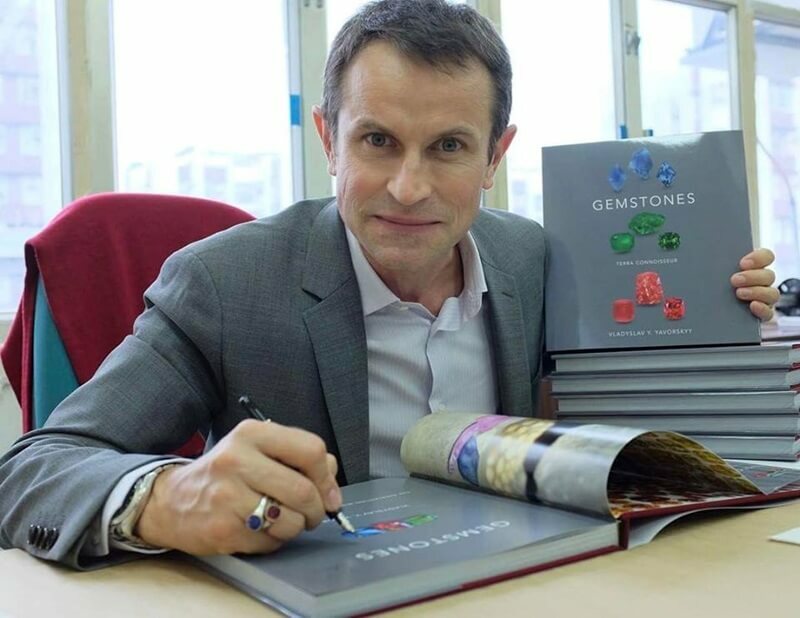 Gem Expert Richard Hughes' latest will be making its US debut in Tucson - Signing dates and times to be announced. .....and from Renee Newman, two new updates - the new 6th Edition of the Pearl Buying Guide, which will be released in Tucson and the new 3rd Edition of her Gemstone Buying Guide. Renee's Schedule follows. Monday January 30th: Book signing at the NAJA (National Association of Jewelry Appraisers) Tucson conference at the Tucson convention center. Thursday, February 2nd, 9:00-10:AM: PowerPoint on "Detecting Jade Imitations and Treatments" together with Jeff Mason, President of Mason Kay in the Maricopa Room of the Tucson Convention Center.